What better place to recruit an HR professional for your organization than through your Next Concept HR network? Get in on a great recruitment solution that can help fill your 2019 HR positions or simply showcase your company. You can build your HR candidate pipeline from NCHRA's outstanding HR community, including HR West 2019 conference attendees. The HR West 2019 Featured Job Listings is a digital booklet that will be heavily promoted to 30,000 HR professionals starting in January and all the way up to the conference in March. The HR candidates reside primarily in Northern California but also include thousands from the Pacific Northwest and Southern California. Titles within the community range across all HR, HRIS and Training functions--from VPs/CHROs and HR generalists to recruiters, payroll specialists and more. Your listing will have all the eyes of the association on it. You can even make your listing come to life with embedded video that will capture the attention of job seekers when they click to turn the page. 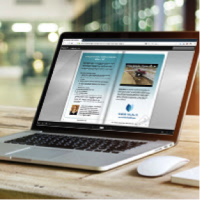 There's no better way to drive candidates to you than placing your listing in the HR West 2019 Featured Job Listings digital booklet. See pricing here. We encourage you to email Mark McGuire as soon as possible at Mark.Mcguire@communitybrands.com to get all the information you need in advance to make the December 14th deadline, including a price sheet, an example of the digital booklet, and all the listing options. We look forward to partnering with you and helping you find your next star HR employee! Click here for an example of a recent digital booklet made for another association--check out this fresh way to showcase your company or 2019 HR positions!